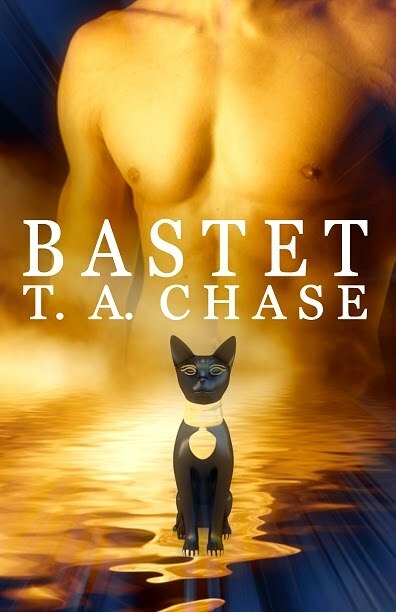 My newest book, Bastet, is available at Amber Allure. I love the cover. 🙂 Trace did an awesome job on getting just the right statue. Some of you might recognize it from being posted on my blog…which it was…and I did add a little bit extra to it. It’ll be available in print in mid-June. I can’t wait to get my hands on the paperback version and get a good look at that cover. Kellan Largent is a grad student at Harvard. His thesis is on ancient Egyptian religious cults. While immersed in his research, he comes across an obscure reference to the Earth Warrior cult. Little does he know that one sentence in a dusty, tattered book will engulf him in a battle between good and evil. A battle that could be the end of the world as he knows it. The stray cat wandering the streets around Kellan’s house is more than an abandoned feline. Bastet has roamed the earth from the days when Egypt was young. He’s watched the pharaohs rise and fall, new gods come and go. His purpose, however, has remained the same—protect the earth at all costs and keep the secrets of the Earth Warriors from regular mortals. He’s sent to keep Kellan Largent from finding out the truth about the cult, but also to keep the unsuspecting college student alive. One man will do anything for the spell that created the Warriors. He wants immortality, and killing Kellan for the secret is just the beginning of the trouble he’ll cause to get what he wants. Sunday, June 6th, 2010, by and is filed under "Bastet, Blurbs, Covers ". You can leave a response here, or send a Trackback from your own site. Bought it as soon as it came out, I love it. Cannot wait for the next one! Well aren't I just happy as a pig in mud?…..Got it, and I can't wait to re-read it cause I absolutely adore Kellan. Congrats to you again TA! TA I thank you so much. You made a boring workday fly by thanks to Bastet. Love it and can't wait for the print copy, I want to see that cover in person too! I'm just sorry I missed it as a blog story, bet you had some great pics for Kellan and Baz. I'll be waiting with everyone else to see what happens to the rest of the brothers. Have a great day! TA- I loved Bastet when it was a blog story and loved it even more in its extended version. I hope that you get around to the other brothers and their stories, especially Isis and Sekhmet! Thanks for another wonderful story! Thank you for Bastet. Wonderfull story. Just finished it and enjoyed it immensely. Another great job. I am so glad you enjoy writing because I certainly enjoy reading your work. Got is early AM your time and really loved it. Can't wait until the next one comes out-no matter when it is. This is the second time I read the book and I loved. I'm planning on it becoming a series, but I'm not sure when I'll be getting the next one written. Hopefully sooner than later, but I never know for sure when I can fit certain stories into my schedule. All those guys do lean themselves to having their storied told, don't they? I was wondering, will this become a series? Like all of the others finding their mates?